It's more than a banner. 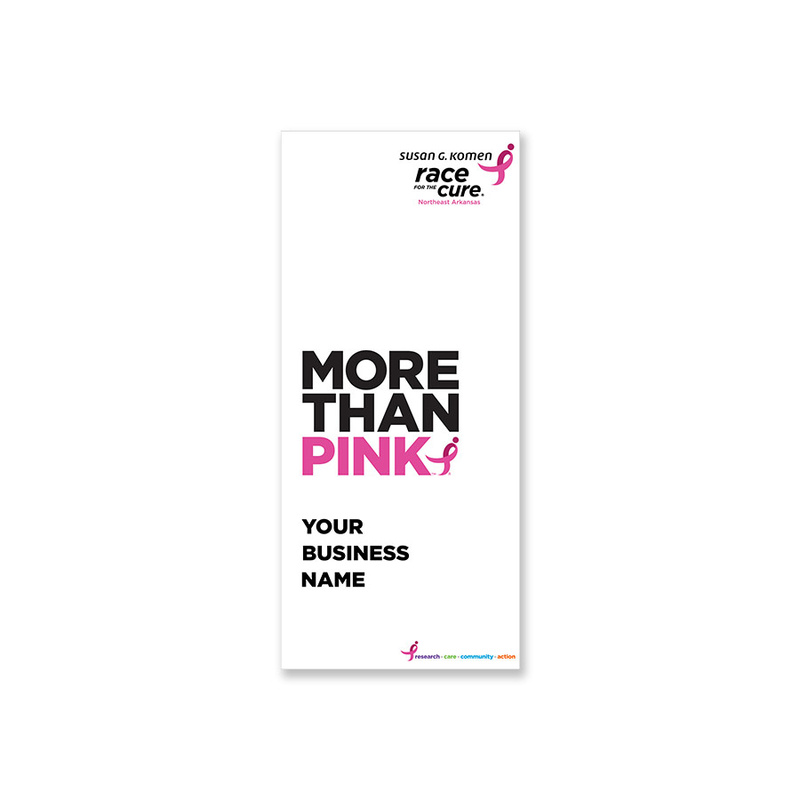 It shows you are More than Pink. 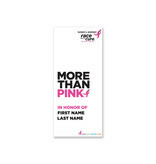 Support the Northeast Arkansas Race for the Cure by purchasing a banner to hang on the light poles on Main Street in Jonesboro during the month of October. There are only a few spots still available. 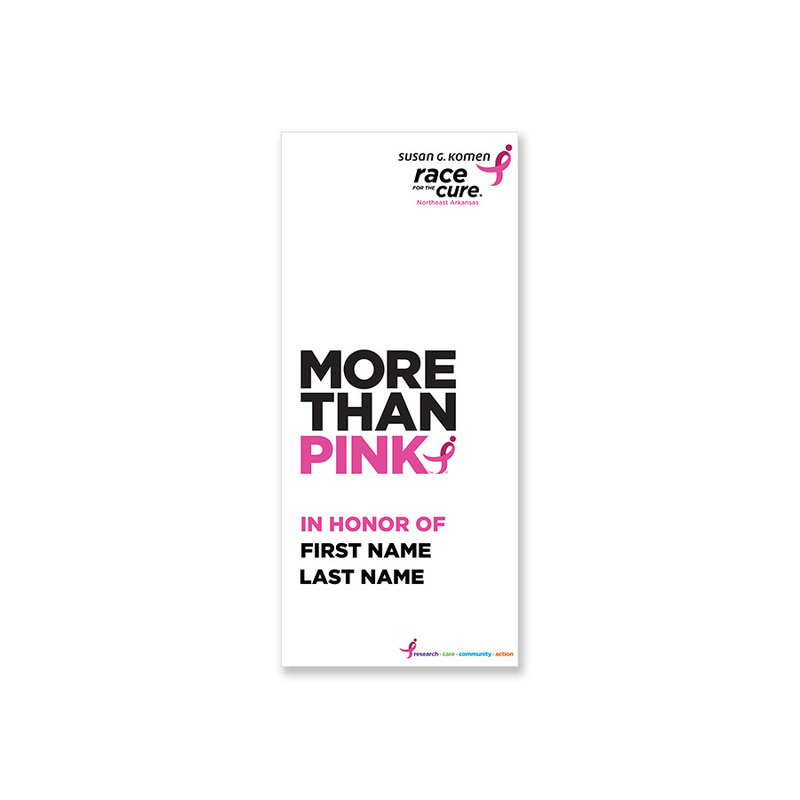 100% of all proceeds will benefit the Susan G. Komen Foundation. *Be sure to specify the name you would like on the banner in the comments/options section at checkout. 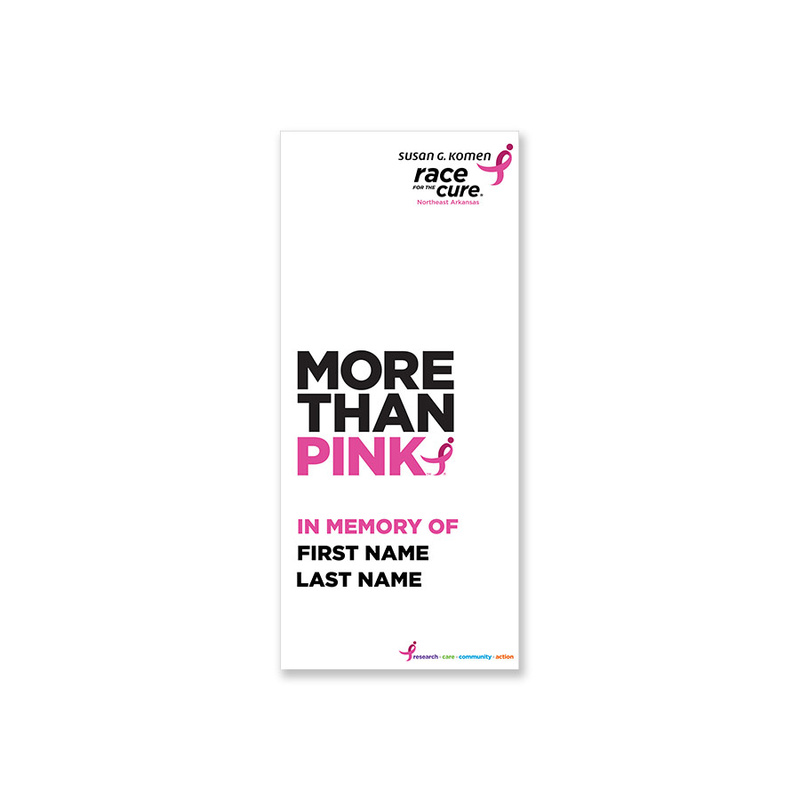 Choose from "In honor of", "In memory of", or "Business"
"In honor of" to honor a survivor or person who is struggling in the fight. "In memory of" hang a banner in memory of a friend or loved one you have lost. "Business" to support Race for the Cure as a business name. Specify the name you would like on the banner in the comments/notes section at checkout. *Please note, these banners will be kept and hung on Main Street in Downtown Jonesboro in March and October. They will be available for pickup or shipment in January of 2019.